Lakeside Resort is situated alongside the stunningly unique Lily Creek Lagoon, 2kms from the town centre, and offers a tranquil relaxing environment to stay while exploring the raw wildness of the Kimberley Region. Set amongst three acres of lush green lawns, which rolls to the lakes edge, the property houses 24 king premier rooms, 6 self catering rooms, 12 standard motel rooms and 8 budget motel rooms. All rooms are air-conditioned and come complete with ensuites, remote control TV, refrigerator, tea, coffee and ironing facilities. 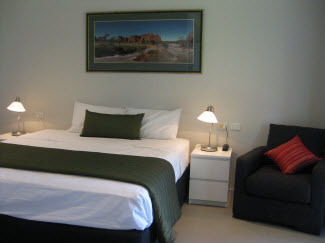 The King Premier rooms offer a city corporate style new to Kununurra. These rooms are located on the lake side of our property with some having lake views. They offer king bedding, large TV, comfy chair, desk and a daily service. The self catering rooms, offer queen bedding, dining table and chairs and a small kitchenette with a microwave, 2 burner hotplate, toaster and cooking utensils. BBQ facilities are close by. 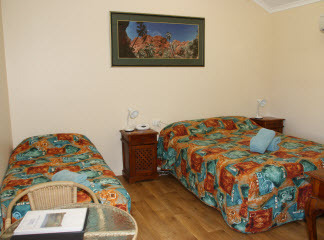 Standard rooms offer queen bedding (twin available), TV , comfy chair and a daily service and are located in the garden section of the resort. The budget rooms offer an option for budget minded guests or those travelling with pets, parking is immediately outside these rooms. There is a guest laundry for those tedious cleaning requirements and we stock deli items in our shop. 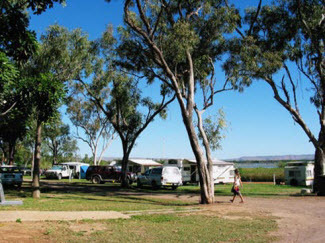 The caravan park which is pet friendly, operates year round and offers guests all the facilities of the Resort. Tours for the region can be booked from the office and there is a courtesy coach for complimentary town and airport transfers. The outdoor Sails Bistro & Bar opens daily during the dry season for breakfast, speciality nights, a la carte meals and day time snacks. Free wifi is available in this area. Our indoor Restaurant, The Durack Room, offers fine dining in a relaxed air-conditioned atmosphere in the warmer months. A resort style shaded swimming pool surrounded by palms overlooks the lake and a private wharf, where you can hire one of our self drive motor boats for a leisurely cruise across the lake. There is even a croc or two to spot at night for the more adventurous. Kununurra Lakeside Resort provides an array of activities and attractions at your doorstep and our genuine hospitality will ensure that you enjoy your stay. 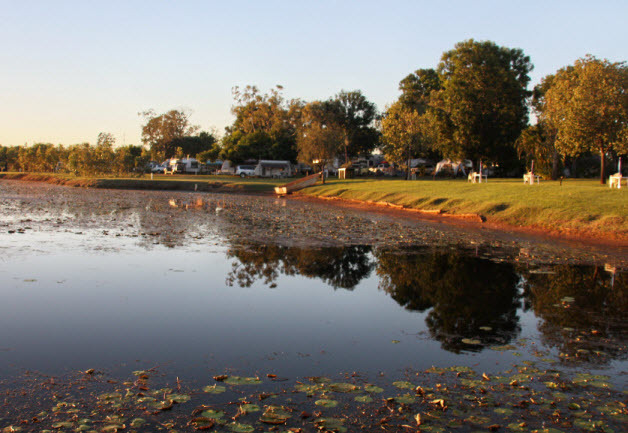 Lakeside Resort offers a range of accommodation to suit all budgets. From our King Premier rooms that are located on the lake side of our Resort, some having lake views, through to our self catering, standard and budget rooms that are located in our garden side, through to the Caravan Park with 80 bays located by the lake - there is something for everyone. 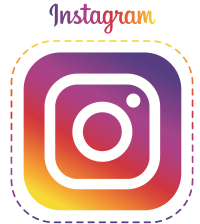 Call us soon - we can’t wait to see you!